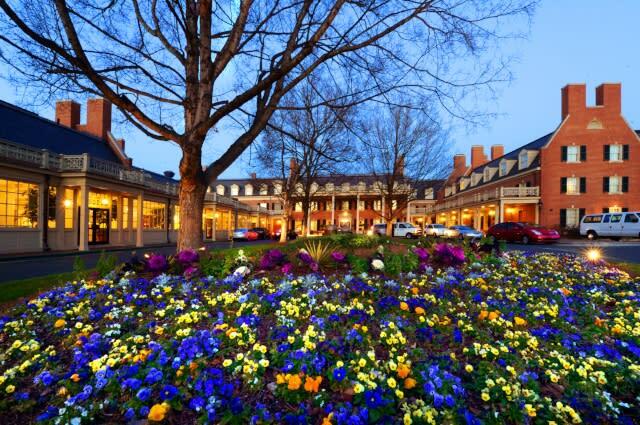 There are countless reasons to travel to Chapel Hill, but where oh where should you stay? Whether you’re here for business, pleasure, a sporting event or a group trip, we’ve outlined the best places to live it up during the day and rest your head at night! Sporting a modern design with a touch of southern hospitality, this new addition to Chapel Hill is located just one block away from Franklin Street near plenty of restaurants, entertainment and shops. This hotel is perfect for any occasion. On the opposite side of UNC’s campus, Aloft Chapel Hill is away from the bustling Franklin Street yet has a vibe of its own with its WXYZ bar and industrial chic design. The North Carolina Botanical Garden is just down the road, and there are plenty of great restaurants nearby. This is the ideal spot for a Chapel Hill getaway. Located right on UNC’s campus, the historic Carolina Inn situates you in the middle of Chapel Hill’s largest attractions. Perfect for tailgaters, the Carolina Inn is a quick 15 minute walk to the stadium. If you appreciate history, book your next visit at this quaint yet sophisticated venue founded in 1924! Affordable and relaxed with a sporty atmosphere, Chapel Hill University Inn features a bar, restaurant, pool and local shuttle. Talk about getting a bang for your buck! 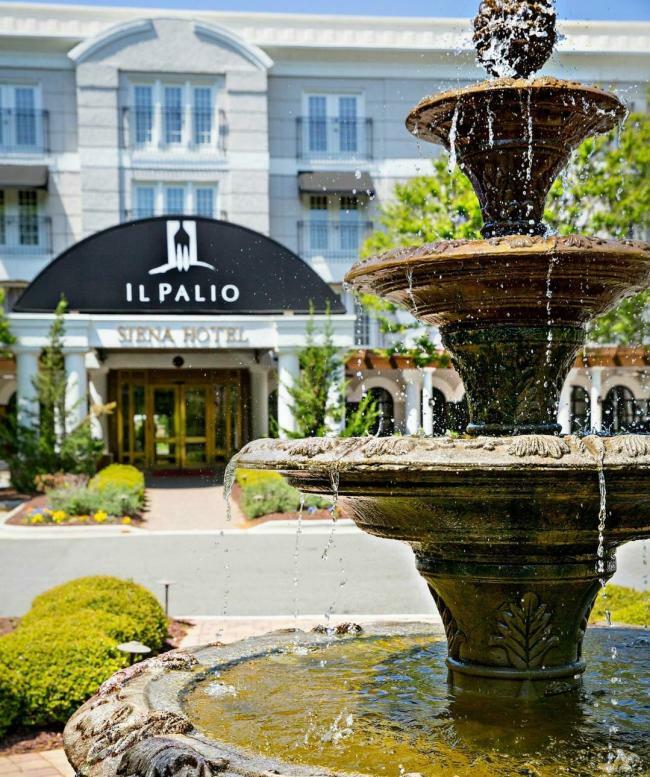 Located near many Chapel Hill attractions, this hotel is perfect if you are in town for a sporting event or a weekend getaway! 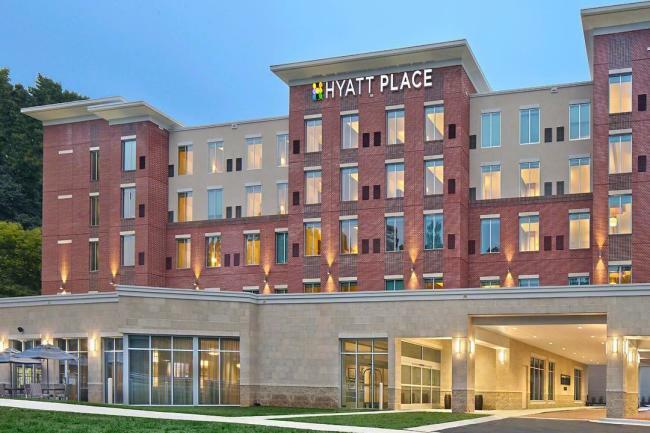 Whether you’re in town for business or pleasure, Hyatt Place’s spacious rooms are made to please! You can even bring your furry friends to this pet-friendly location. Remove yourself from the hectic Franklin Street and enjoy everything that the Southern Village has to offer by taking a walk around Market Street and exploring one of the most sought-out neighborhoods in Chapel Hill. If you’re looking for a getaway while you’re on business, look no further. 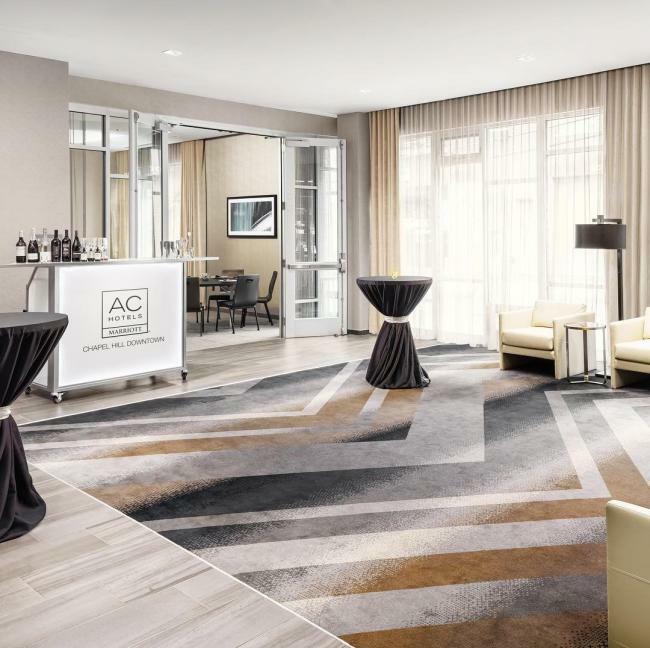 The Courtyard by Marriot has a business center, meeting rooms and a Bistro that’s open for breakfast and dinner – perfect for a quick bite between meetings! After a long day of business, take a dip in their indoor pool and enjoy the spa before heading to your room. From beautiful rooms overlooking historic Franklin Street to executive penthouse suites, this hotel has it all. 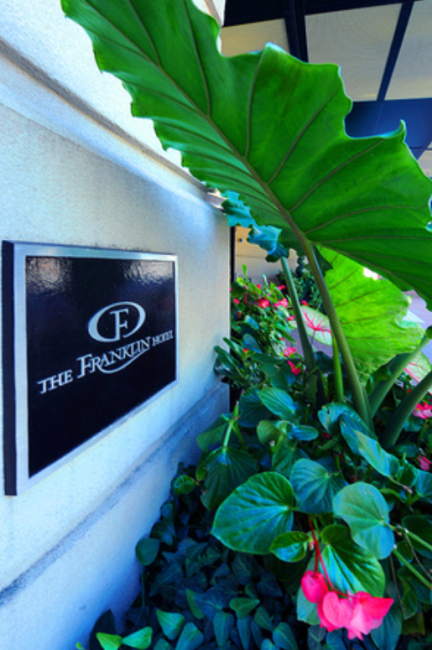 Modern finishes make Franklin Hotel one of the swankiest hotels in Chapel Hill – and the perfect place to stay during a “treat yourself” weekend! Only one mile from Kenan Memorial Stadium, this location is also hard to beat if you’re in town for Tar Heel football. Feel at home in any one of the luxurious spacious suites with stainless steel appliances, granite countertops, and luxurious bedding. You’re invited to the Managers evening reception every Monday – Wednesday; challenge your family members to a game of pool or catch a movie at the hotel theater. The picturesque Siena Hotel is not just for sleeping! With award-winning contemporary Italian restaurant Il Palio housed within, there’s no reason to venture out of Siena’s walls! This renowned restaurant right in the lobby provides guest with an outstanding dining experience touting the best of southern hospitality. Want to live the suite life? The Hampton Inn & Suites has you covered! 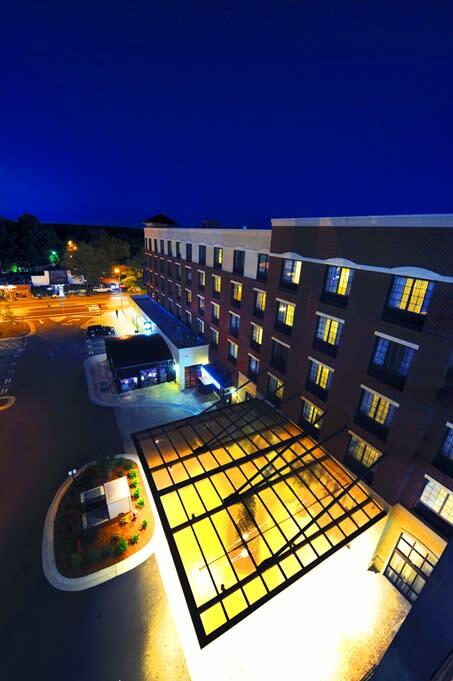 This hotel sits right between Carrboro and Chapel Hill, so there is no shortage of things to do! With live entertainment around the corner at Cat’s Cradle and countless restaurants within a mile, there is no need for a car at this location. 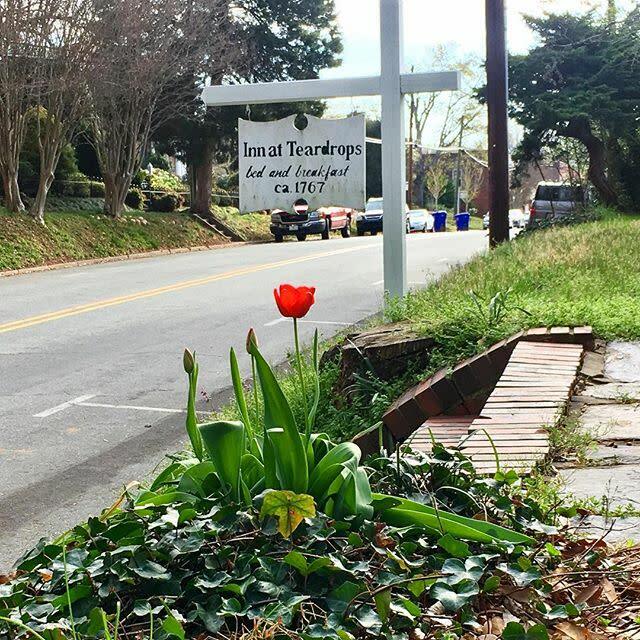 Hillsborough, Chapel Hill’s historic neighbor to the north, is just 15 minutes away via a scenic highway. This Microtel is just 30 minutes away from the Raleigh-Durham International Airport and provides a nice night’s rest at an affordable price. This is the perfect place for business travelers, especially since you can book in groups to take advantage of special offers and discounts! Guests give this hotel great reviews and recommendations for its friendly staff, comfort, convenience, and value! It’s the perfect location for business or pleasure, just off I-85 and close to charming downtown Hillsborough where you will find galleries, gift shops, restaurants and more friendly folks. Well, technically not a hotel but this homey B&B is filled to the brim with antiques and history and even has a small garden on the property, perfect for a little rest and relaxation. If you want to experience downtown Hillsborough like a local then this is the perfect spot! When booking trips to Orange County, keep in mind sporting events, festivals and other fun activities to try out while you’re in the area! If you’d like more information about visiting Chapel Hill, subscribe to our monthly Travel News Update to keep up with all things Orange County!